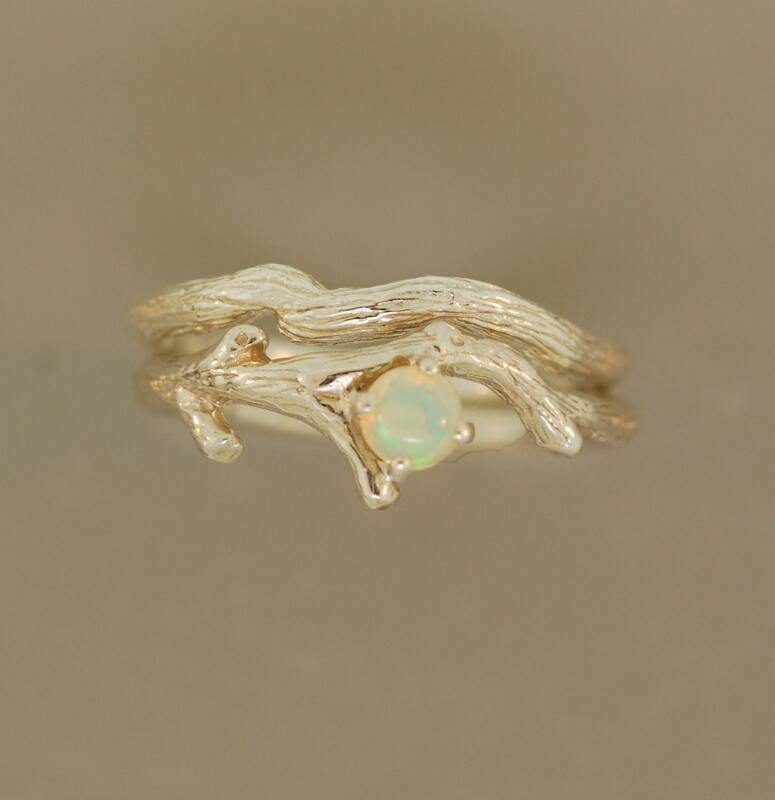 Bud Branch set with Opal, Alternative wedding ring, opal ring, wedding ring, twig ring, branch ring, opal twig ring, silver twig ring. 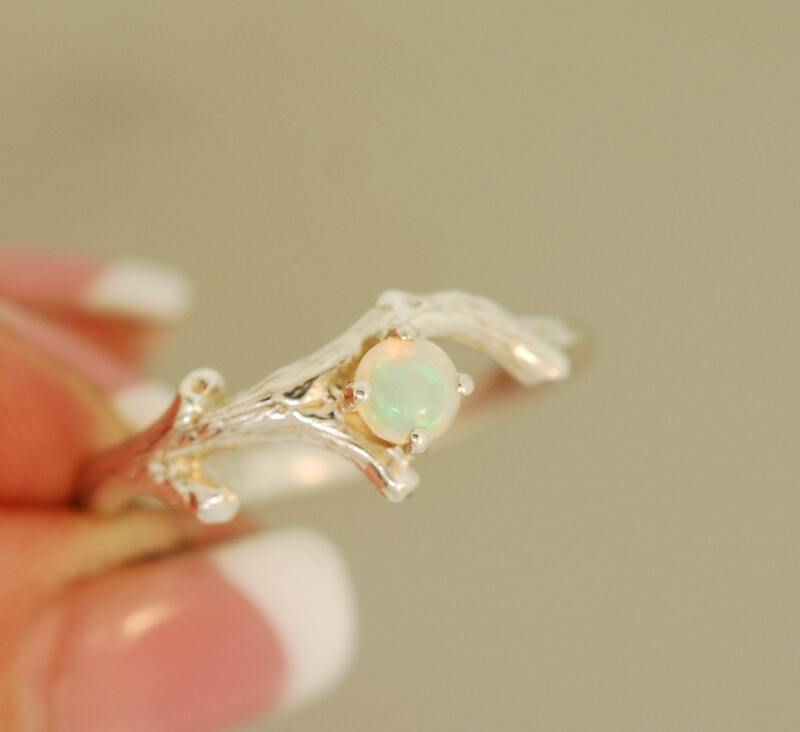 This alternative wedding set features a very colorful 4 mm natural opal. This listing is for both of bud branch rings in the photos. 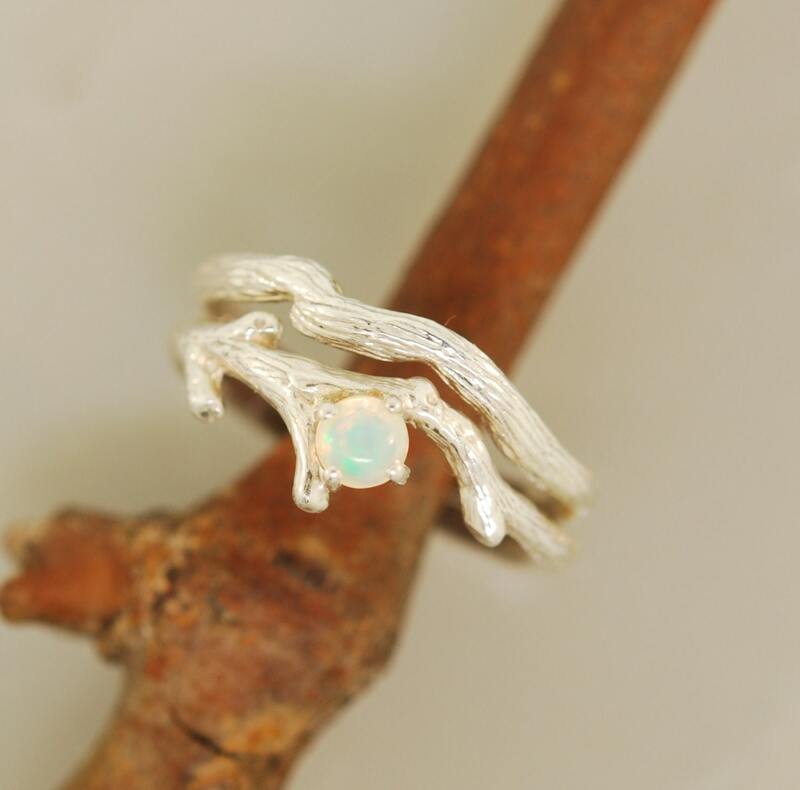 The opal measures 4 mm , the bud branches are around 2 mm . 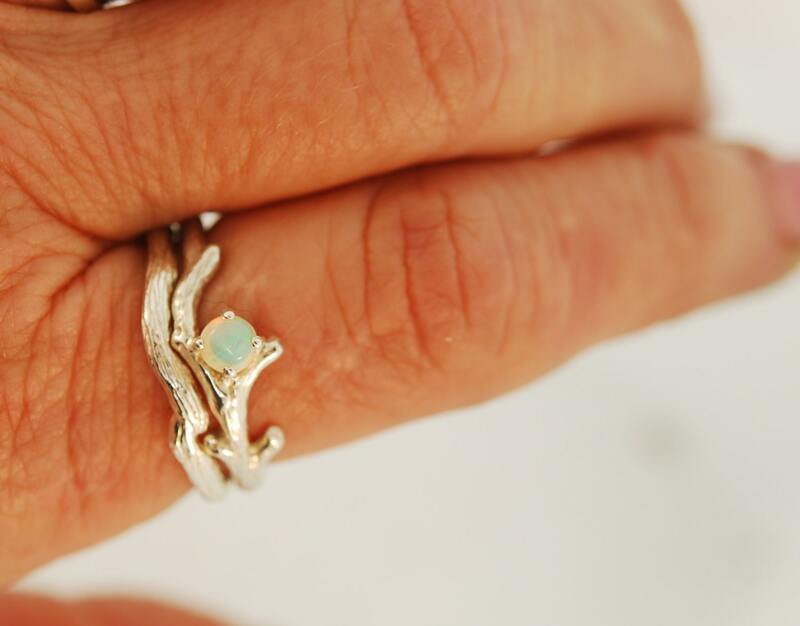 The ring is all sterling silver and is an original design by Teri Lee Jewelry. 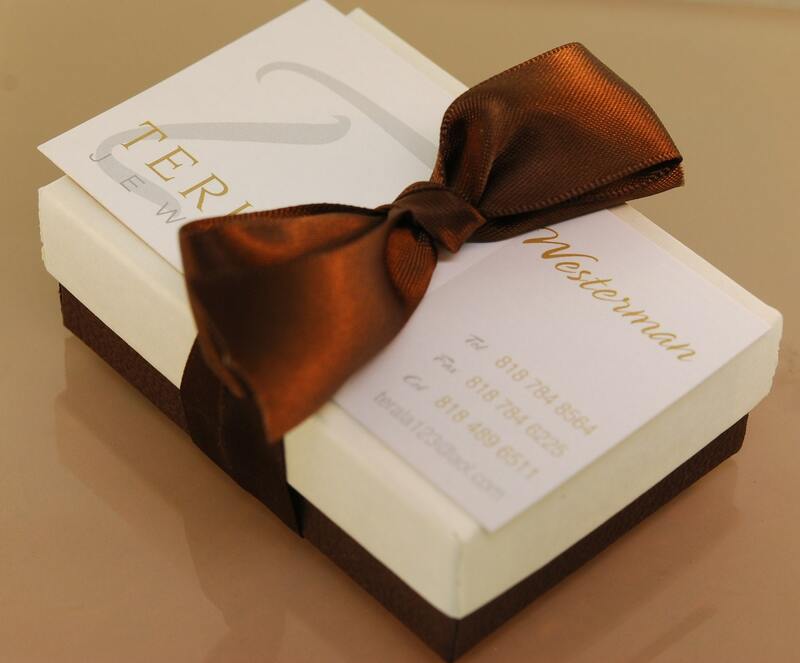 Also available in 14 karat rose, white or yellow gold.